For our August 2012 best gaming PC build, we’ll be building a high performance heavyweight contender powerful enough to provide the knockout punch to even the most graphically demanding games with ease. Like every boxer, this beast will have to stay within a weight range, which in our case is a budget of under $2000. Wanna find out what we came up with? Let’s hop right in! 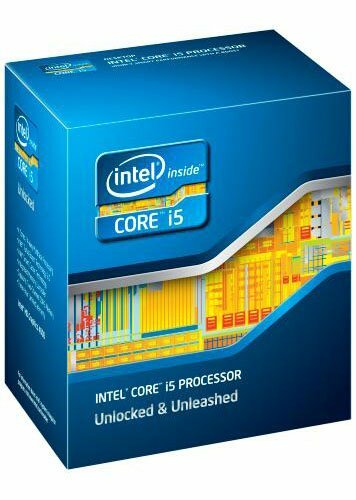 This quad core powerhouse delivers all the processing power a gaming machine really needs while residing in a budget friendly zone. Why not the i7 3770K you may ask? Well the i7 3770K merely adds Hyper-Threading and a higher clock speed to the equation. Though these two improvements are fantastic in CPU intensive tasks such as video encoding and 3D modeling, in gaming scenarios it doesn’t really do a whole lot. Games these days are much more graphics intensive than CPU intensive, so it’s a much better idea to invest the extra dough into the graphics card. That said, those of you out there looking to do live streaming or other tasks which require any sort of video encoding, feel free to pick up an Intel Core i7 3770K instead. 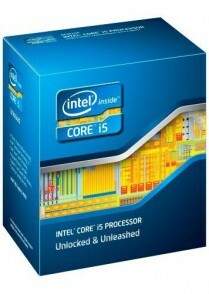 The part is 100% compatible with this build and will give you better performance for these tasks. However, with all things higher performance, expect to shell out a $100 premium for the processor. For longtime readers you will know that this is one of our favorite memory kits and the reason for this is quite simple. We’re talking about fast, reliable, and cost effective memory backed up with Corsair’s legendary warranty. It’s 1.5v memory which ensures that it’s fully compatible with Intel’s latest Sandy Bridge and Ivy Bridge processors, and it’s also got low profile heatspreaders as well, which is much more versatile for those looking to outfit the CPU with a powerful air cooler in the future. 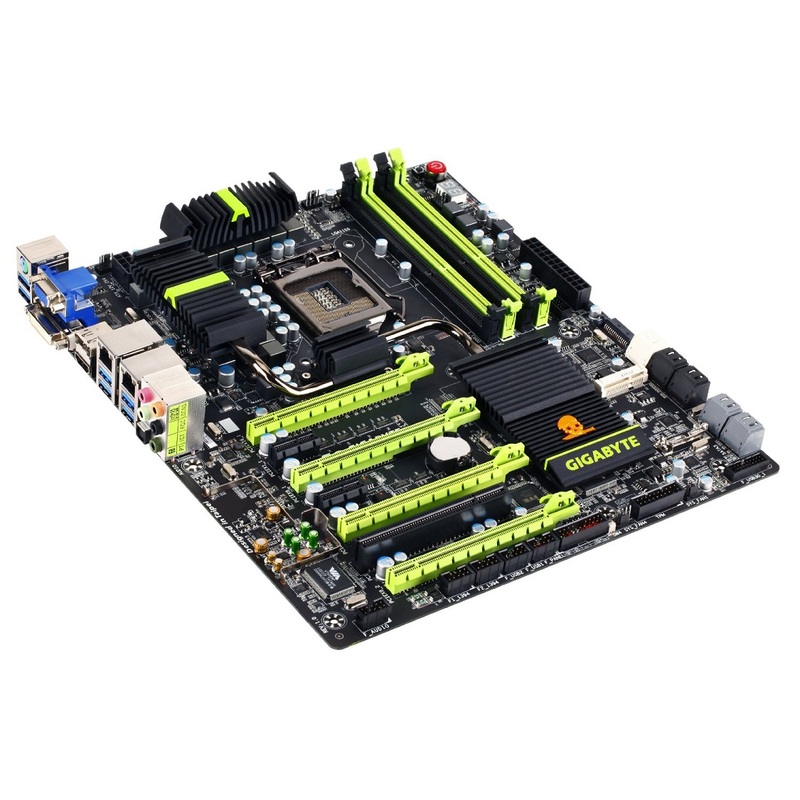 These days motherboards are crammed with features and this motherboard is no exception. Those who frequent our site will know that we’ve recently been quite impressed with Gigabyte’s Z77 lineup, which offers gamers and enthusiasts alike a ton of features for prices that don’t break the bank. This is why for our recommended gaming build this month, it’s only natural we went with gamer oriented Gigabyte Z77 G1.Sniper 3. In terms of features, the Gigabyte Z77 G1.Sniper 3 is jam packed with stuff such as Gigabyte’s Ultra Durable 4 initiative which brings a host of features such as extra thick copper, a new glass fiber PCB, the use of high quality solid state capacitors as well as a fully digital VRM design to help push those overclocks to the next level. Additionally since this is a gaming board, we’ll be seeing some gaming oriented features as well such as the inclusion of Creative’s Sound Core 3D audio processor right onboard, a full $80 value add right there, along with Atheros Killer LAN, which will provide excellent network management options to lower those pings, cut the lag, and take you to ultimate victory. Other features include a 12 phase digital power design, onboard next generation Bluetooth 4.0 and Wifi, USB 3.0, PCIe 3.0, and support for up to 4 way multi-graphics SLI or CrossFire. With all these features along with fantastic aesthetics, $290 suddenly doesn’t seem like all that much now, does it? 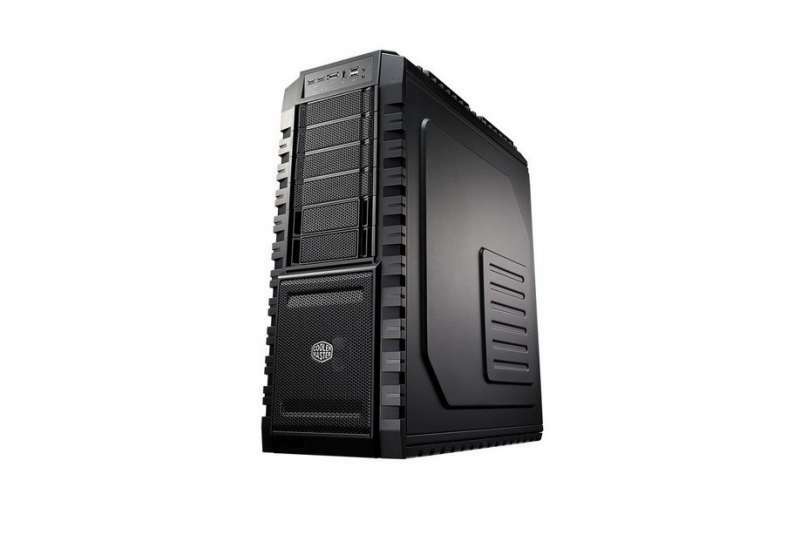 For those who don’t follow Cooler Master cases, the Cooler Master HAF X is the flagship HAF, or High Air Flow, case which is designed for exactly what the name implies – high air flow. What does this mean? Well, you’ll be getting a total of four fans with this case, which might not seem like much, but unlike the tiny 120mm or 80mm fans that come on most cases, Cooler Master has included a large 230mm front fan, a 200mm top fan, a 200mm side fan, and a 140mm rear fan for maximum airflow. When it comes to fans people, size does matter. Additionally, we’ll also be getting USB 3.0 support, 9 expansion bays making this one of the few cases on the market to support full four way multi-graphics SLI or CrossFireX configurations, huge interior capable of supporting large sized eATX and XL-ATX motherboard, internal hot swappable drive bays, a sidepanel window for showing off your gear, and much more. When Nvidia launched the GeForce GTX 680 in March of this year, they really shocked the graphics card industry by producing a graphics card capable of being called “the world’s fastest” yet was also among the most efficient at the time as well, drawing very little power yet producing tons of graphics performance. 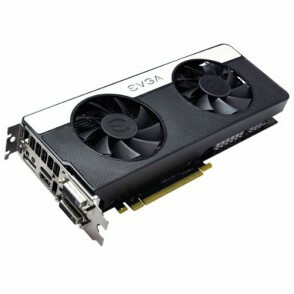 Today, the Nvidia GeForce GTX 680 along with AMD’s top end Radeon HD 7970 GHz edition share the title of being the single GPU performance king, so for this build, we’ll be going with the newly released EVGA GTX 680 SC Signature 2. Being both a SC and a Signature 2 card, the GTX 680 SC Signature 2 is clocked higher at 1097 MHz base and 1163 MHz boost compared to the reference design which is clocked at 1006MHz base and 1058 MHz boost, so you’re going to get that extra bit of performance out of this card. Additionally, it’s also a dual fan design, which means it’ll run cooler than the reference GTX 680 as well. A couple years ago, you couldn’t even dream about putting a top tier graphics card into a gaming computer for under $2,000. Today, we’ve done it. With SSD prices dropping and games like Max Payne 3 requiring a ridiculous 30GB to install, 128GB simply doesn’t cut it these days, so for our storage configuration, we decided to go with the OCZ Vertex 4 256GB as a boot drive and the Seagate Barracuda 2TB 7200RPM as our storage drive. 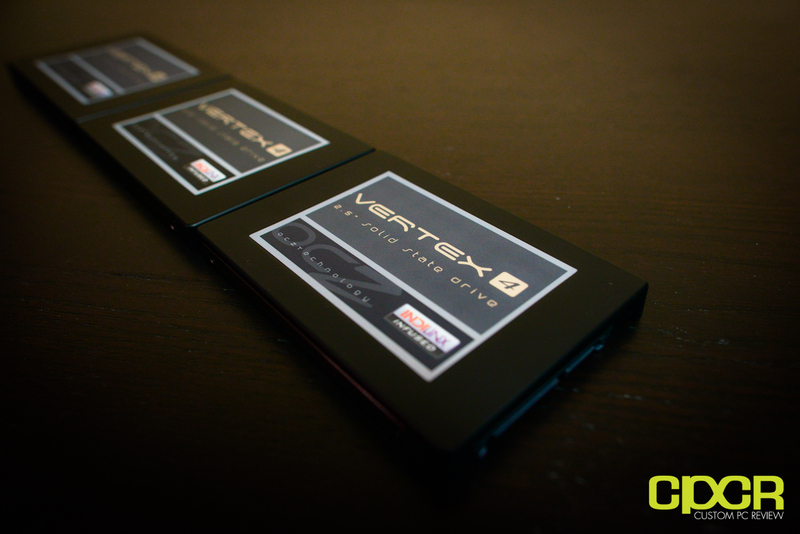 Recently reviewed here, the OCZ Vertex 4 256GB is an excellent mix of price, performance and reliability as it blew through our incompressible write benchmarks with one of the highest scores we’ve ever seen to date. In addition to its industry leading 5 year warranty and consistent firmware updates, it’s easily one of the best SSDs of 2012. While 256GB is a very respectable amount of storage space, it’s still meager compared to traditional hard drives, which is why for general storage, we also went with a 2TB Seagate Barracuda 7200RPM drive. Gotta have somewhere to store your gameplay footage, right? After all, no proof = it didn’t happen. Our philosophy here at Custom PC Review is to NEVER skimp out on the power supply and when it comes to power supplies, the Seasonic built Corsair AX750 is well regarded as one of the highest quality power supplies on the market. In terms of features, it has a fully modular interface for significantly less cable clutter, 80 plus gold certification for efficiency, an industry leading 7 year warranty, and the Corsair name to back it all up. This power supply has everything a builder wants and a whole lot more. For this build, we decided to go with the Corsair AX750 because this will allow for future upgrades down the road such as adding a second GTX 680 in SLI configuration for increased performance especially as the holiday game season rolls around. 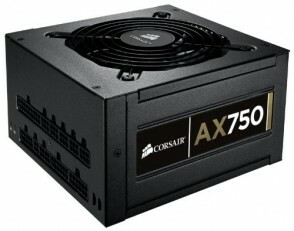 Those looking to run triple or quadruple SLI setups will need to purchase a more powerful power supply such as the AX850 or AX1200. When it comes to CPU coolers these days there there are few coolers on the market that function and look as cool as the Corsair H100. Being one of the first mass marketed all in one water based CPU coolers with a 240mm radiator, the Corsair H100 became one of the most popular high end CPU coolers on the market today, with only custom water loops or other exotic cooling solutions surpassing it in performance. High performance, awesome looks and low maintenance. Awesome, count me in! The grand total of the entire system’s core components is around $1,964.83 on Amazon (including Windows 7) as of the time of writing. will there be a significant difference in going with the mid-size case rather than the full size? It just depends on your needs. Full sized cases generally allow more expandabiilty, better cooling performance, and have more features, but a mid tower will work just fine. Z77 boards can only cater up to core i5s right? 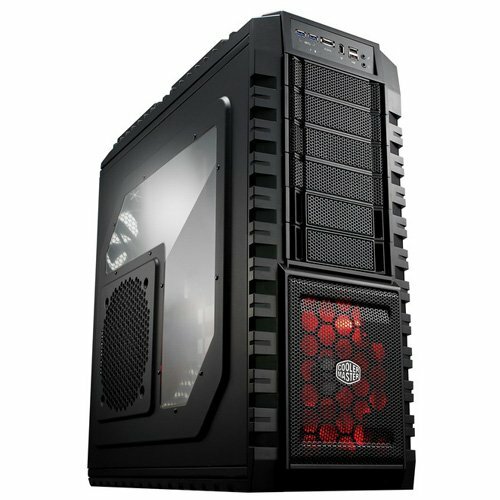 if someone should prefer getting core i7 in this build, shouldn’t he replace the mobo also with an x79? pls enlighten me. I was going to use your amazon affiliate link, but cannot find it. Hopefully it isn’t in a glaringly obvious spot that makes me look like a fool.